As we near the finish line of Unit 1, we will focus some more on imperative verbs, this time in the negative, and offer another side of the arabesk genre. Our singer, Ferdi Tayfur, is another iconic figure of the arabesk movement. 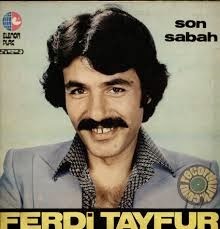 If Orhan Gencebay was considered the most talented early arabesk musician, Ferdi Tayfur was perhaps the most authentic. Arabesk was largely driven by its appeal to and production largely by urban migrants who had come to the cities of Turkey and beyond in from the Anatolian countryside in search of work. Ferdi knew this social world from experience. His father died young and as a teenager in Adana, Ferdi was forced to work in the cotton industry to provide for his family. However, after some attempts at launching a music career in Istanbul, he finally broke through and become one of the most successful recording artists of that decade. Ferdi's fan base was not limited to urban migrants like himself in Istanbul or provincial audiences like that of his native Adana. Ferdi and other arabesk singers appealed to emigrants who left Turkey in search for work in Germany and elsewhere. This song touches on that experience. It is sung from the vantage point of a young man leaving on a train to Germany who addresses his beloved with some parting requests. Much of what he has to say comes in the form of negative commands, making it an ideal follow up to Lesson 11 on the imperative. A negative imperative verb is formed simply by adding -me to the verb root. Thus "gel (come)" becomes "gelme (don't come)". There are other imperative forms but we will not worry about these at the moment. Just make sure to find the imperative verbs highlighted in the lyrics below in bold. You'll notice that the direct objects of all of Ferdi's commands, which is himself, come after the verb, even though as we know the direct object normally comes before the verb in Turkish. Of course, the sentence structure is more flexible in music, but particularly when it comes to imperatives, it is common to see the verb come first. Thus, Ferdi says, "Almanya'da mektupsuz bırakma beni" or "Don't leave me in Germany without letters (i.e. write to me)". Finally, you'll notice that going to Germany is very emotionally distressing for Ferdi. This is not just because he is leaving behind someone he loves, but because he is terrified by the feeling of estrangement that awaits him abroad. As he says, "In a foreign land, the pain never ceases / Gurbet elde acıların kesilmez ardı". The important concept of "gurbet" here, which simultaneously signifies a foreign location and a feeling of alienation is a key to understanding the sensibilities of Ferdi and his audience. The fact that migrant workers are likewise referred to as "gurbetçi", i.e. 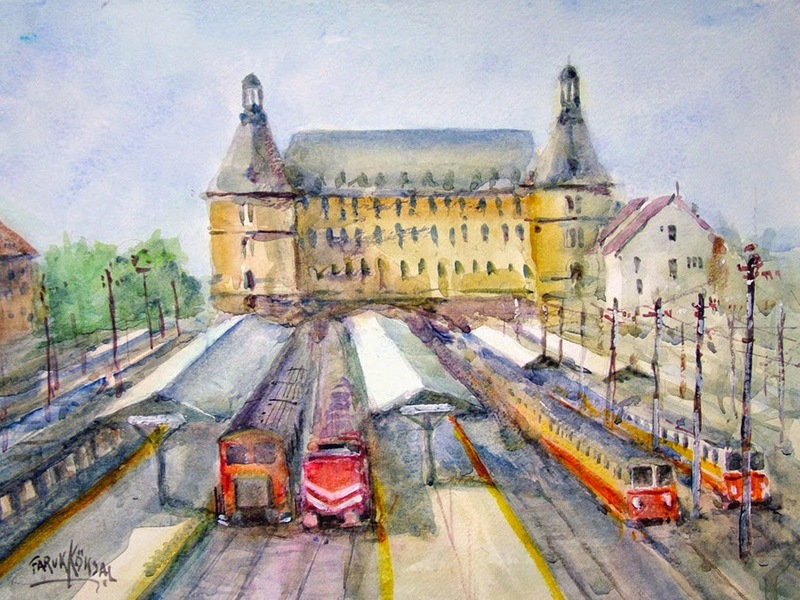 someone who "does gurbet", completes the picture of why the train to Germany is such a bitter figure within the arabesk cosmos. Here "yaradan" is a name for God. "Felek" has the meaning of both "the universe" as well as "fate" or "destiny". There is only a subtle difference between the verbs "bırakmak" and the verb of Arabic origin "terketmek". Where as "bırakmak" has the connotations of "to leave" and "to leave alone" or "quit", "terketmek" perhaps has stronger flavors of abandonment. We have just one more lesson, Lesson 13: Let's Break Up, before the end of this unit. Quiz yourself on this lesson's vocabulary before moving on.